Today’s interview is with Todd Chipman, PhD Student and Pastor. My friendship with Todd developed during the many PhD seminars we enjoyed together at Midwestern. His love for the church, service to the church as pastor, and regard for quality biblical scholarship make his perspective on these issues of the Church and Academy significant. A more complete bio can be found below. Symbiotic. I find that my work as pastor gives me a view of the necessity and practicality of biblical studies. Time devoted to biblical studies compels me to help the church know God’s word better. One thus ‘feeds’ the other, completes the other. A series of events, really. I was converted as a university student and the following semester changed my major to education. I so wanted people to know the gospel and figured a teaching degree would be the best means to that end. Within a few years I had accepted the call to an associate pastorate where I had many opportunities to teach. But the more I taught, the more I realized how much I did not know. So teaching experience as an associate pastor compelled me to formal biblical studies. I entered Midwestern Seminary with a view to completing the M.Div. and along the way accepted a call to the preaching pastorate I currently enjoy. The demands of preaching opened my eyes to the need to know biblical language and backgrounds beyond what the M.Div. affords, so I completed the MA-BL. And why not go all the way? Having worked several years in the pastorate and completing the M.Div. and MA-BL, I began to see how the two avenues of ministry discussed in this blog post, formal biblical studies and formal church ministry, can thrive on each other. I am now turning toward the dissertation phase of PhD studies while also serving as a preaching pastor. Early in the process described above I felt a great joy and satisfaction in knowing God and His word. I sense a call to know Him. Formal biblical studies and formal church ministry are the tracks this sense of call runs upon. Perhaps the greatest experience of call I have enjoyed in this regard was a sermon I once heard by D. A. Carson. He spoke at a pastor’s conference in the late ’90’s, and a friend brought me a tape of the message. I was on an early morning walk one day listening to the tape on my Walkman (remember those?) and as Carson unpacked Revelation 4-5 I could not take another step. I stood still on the sidewalk for a couple of minutes (I think), struck by the greatness of God, His word, and preaching that resulted from a life of biblical studies. Three ideas come to mind. First, biblical scholars need to have a vision for and be involved in the local church. My denomination, the Southern Baptist Convention, owns and operates several seminaries and Bible colleges with faculty who are accountable to the local church. This kind of arrangement can provide scholars an urgency and practicality in their work. Likewise, pastors need to be involved in formal biblical studies. Many pastors blame a busy schedule or church ministry demands for lack of formal attention to God’s word. This should not be. To equip and feed the flock pastors should take advantage of the (many) formal biblical studies streams available for their consumption. Second, pastors and scholars need to stay put. The average pastorate lasts only a few years, and those in the academy often move to a higher ranking position at the first opportunity. Because of the former churches move from the new pastor’s new program to the new pastors’ new program; many are thus never really equipped with a vision for the importance of God’s word and how the fruits of the academy can aid the life of the church. Because of the latter, scholars do not always enjoy the kind of collaborative colleague relationships which might produce fruitful and relevant research. One notes the significance of those like Darrell L. Bock, who contributes to this selection of interviews. In the Preface of his Jesus According to Scripture (Baker, 2002) he writes with appreciation of the fact that the faculty he serves with had at that time been together as a team for almost twenty years (pp. 15-16). Perhaps this is a contributing factor to the contributions DTS has made during this period. Finally, both entities should regularly pray for the other. Each day I spend time in prayer for church ministry concerns. Within this framework I have one day a week set aside to pray for the Christian academy. One benefits the other. *Todd R. Chipman was reared in a Christian home but was not converted until his college days at the University of Nebraska. Upon conversion, Todd sensed God’s call to ministry. God developed Todd’s teaching gifts through completion of a Bachelor of Science degree in Elementary Education from the University of Nebraska. 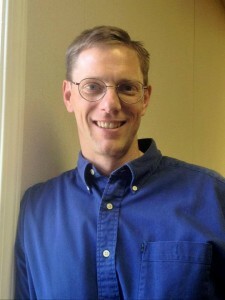 Todd serves as the Preaching Pastor at The Master’s Community Church in Kansas City, Kansas, and serves as an Adjunct Professor of New Testament at Midwestern Seminary. Todd is married to Julie and they have five children-J.T., Anna, Sarah, Grace and Chesed. They enjoy reading, following Kansas City sports teams and summer vacations in the Rocky Mountains. I appreciated Todd’s comments and your posting this I view. Thanks! No problem. I thought the point about staying put was especially insightful.